Living in a house you love, is living a life you love. My name is Andrea Docter-Haslach and I am the face behind Bright Delight Feng Shui. I grew up in Munich, Germany and have always been interested in people, the relationships between people, how people live and how they organize their lives. This passion runs like a red thread through my life. After many journeys abroad, studies of pedagogy and management assistant I followed courses and trainings on therapeutic areas and psychology in Germany, United Kingdom, U.S.A., India and the Netherlands. In the Netherlands I also have met my husband and since 1999 we are living together in Doorn, a small village in the center of this beautiful country. All these studies have given me the opportunity to connect my love for people, my creativity and my organizing skills. The main goal was to learn more about the psyche of people, but most of all I learned a lot about myself. And yet I wanted to continue to connect both worlds: as within, so without – as outside, so inside. BATC – Belangen Associatie Therapeut en Consument. The studies of Feng Shui and Clutter Clearing never really stops. Regularly, I am following trainings and workshop to deepen my knowledge in Feng Shui, Clutter Clearing, Interior styling and Healthy Homes. In 2011, I founded my own company, Bright Delight Feng Shui. In my work, I can combine my passion for organizing and harmonizing the inner and outer worlds with each other. Feng Shui and Clutter Clearing have become a way of life for me. 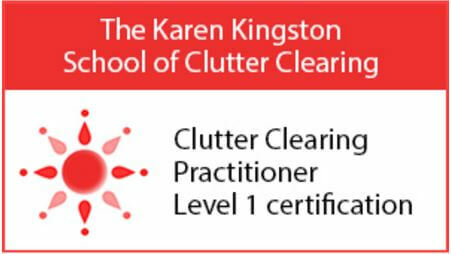 I trained with Karen Kingston, author of “Clear Your Clutter With Feng Shui”, and have qualified as a Clutter Clearing practitioner in December 2014. 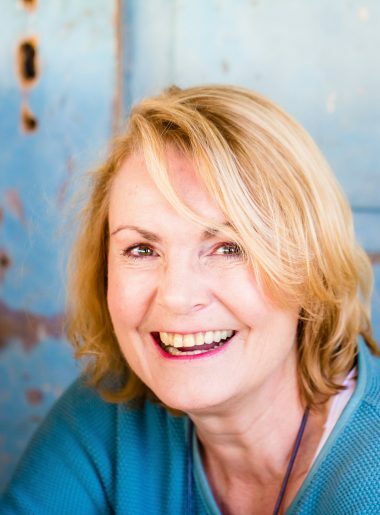 Karen’s international bestselling books have established her as the world’s leading authority on space clearing, and a leading expert on clutter clearing. She has over 35 years experience in these fields. Karen provides a very thorough and in-depth training, and I am listed on her Directory of Practitioners. It is my strength to create supportive spaces for my clients so that they feel empowered to step into new areas of their lives. My work is based on clarity, creativity, intuition, professional knowledge and a good sense of humor. Bright Delight is affiliated with the organization International Feng Shui Guild (IFSG). Feng Shui professionals are united in a network in which exchange of ideas, insights and expertise can take place. They guarantee the quality mark, giving the affiliated members a distinctive position in the market.